Happy Monday friends!!! I hope you all had an amazing weekend. We were super busy with ice skating lessons, flag football practice and birthday parties on Saturday and a glorious relaxing Sunday. 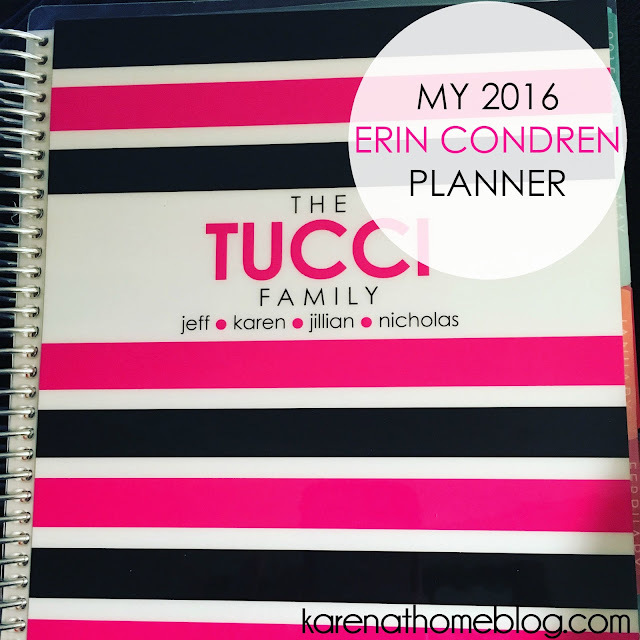 Today I am sharing with all of you my 2016 Erin Condren Vertical Planner. As much as I love the ease and convenience of our new digital world, there is one thing I have found that my iPhone can simply not replace. A well organized paper planner! Although this is my 4th Erin Condren Vertical planner, this year has proven to be a little different for me. I have evolved into what is called a "Planner Girl"....someone truly obsessed with all things planning and being able to use your paper planner with the utmost efficiency. Little did I know the true depth of the Planner girl community until I started to research ways to make my own planner much more efficient. There’s just something about systematically organizing your entire life into one small planner that excites me. I love it! I realized recently that I truly wasn't using my Erin Condren Planner to its fullest potential. I had a lot of unused "white space" throughout each day. As a SAHM, I do not have the endless meetings and appointments filling my day as I used to. Sure, I now work at home as a Direct Sales leader which brings with it different commitments, however, my days are structured differently now than they were in the Corporate World. What's a planner girl to do about all this unused white space? Planner Stickers!!! 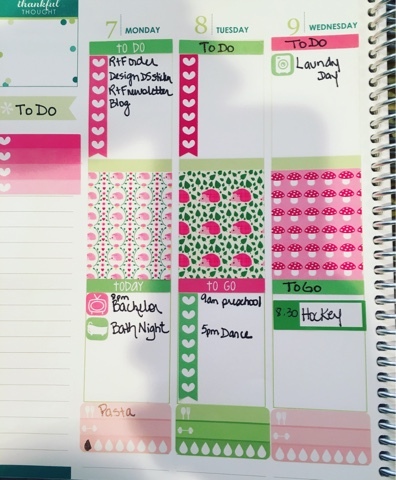 Planner stickers are an excellent way to manipulate the provided white space in your planner to tailor it more towards your typical day. Genius!!! 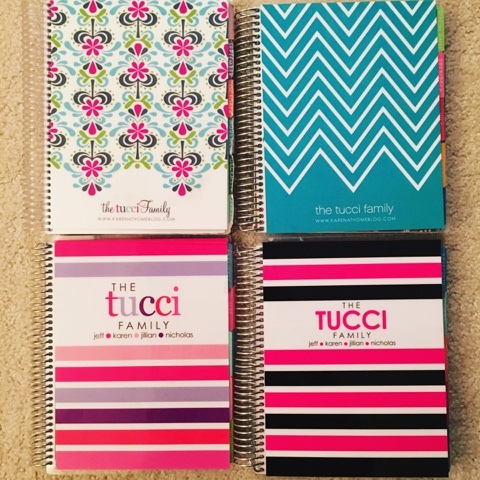 So tell me, are you a paper planner girl or do you use your phone? 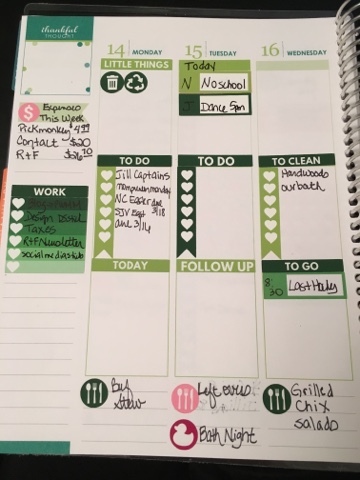 I would love to hear how you all stay organized!! And we find out who our adorable Bachelor Ben truly loves in tomorrow nights dramatic finale!! Who do you think, Lauren or Jojo? I had an Erin Condren planner the past two years. This year I got the hourly layout and don't really like it though. I could really use some stickers to better utilize it! I'll check out your Etsy shop! Hi Jill! I almost ordered an hourly layout, thank you so much for letting me know that it was not your fav. Thank you so much for the comment and for checking out my Etsy Shop. Have a great day!